Sharing #LifeGoals has become a popular trend on social media. A campaign from the European Federation of Neurological Associations (EFNA) is putting a new spin on the trend by instead seeing patient advocates and supporters share their #BrainLifeGoals. 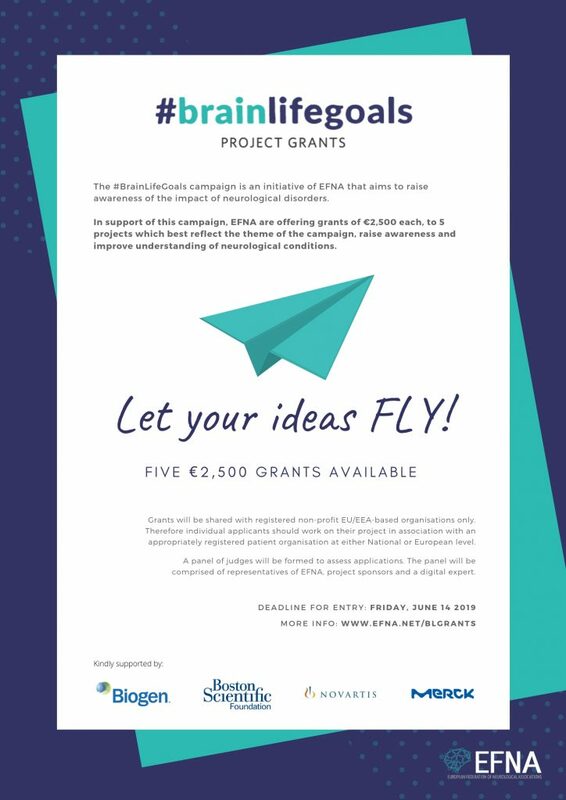 In support of this campaign, EFNA are offering grants, of €2,500 each, to 5 projects which best reflect the theme of the campaign, raise awareness and improve understanding of neurological disorder. Grants will be shared with registered non-profit EU/EEA-based organisations only. Therefore individual applicants should work on their project in association with an appropriately registered patient organisation at either National or European level. Deadline for application is June 14th.